Grechario Mack, 30, was said to be holding a knife and walking through the mall Tuesday afternoon. Officers opened fire when the 30-year-old ran toward patrons with the weapon, police said. "We didn't know what the individual's mental status was at the time, other than officers were known to be that he was agitated and may have been under a mental health crisis," LAPD Lt. Chris Ramirez said. But Mack's family said he was schizophrenic and dealing with new medication. They said he was in the middle of an episode. "They didn't know what he was suffering from. They just took excessive force. They don't understand. You have to know how to recognize these things," sister Arianna Moore said. Mack's family is heartbroken and his two young daughters are now without a father. "My brother, he belonged to us. He didn't belong to somebody. They didn't treat him that way," Arianna Moore said. The family said they are not trying to point a finger at all police officers. "We're not saying all cops are bad cops, because they're not," stepfather Quintus Moore said. But the Macks said officers need to be better trained on how to recognize and react to people with a mental illness. "We need cops that we can trust that they're going to use their better judgment," Arianna Moore said. 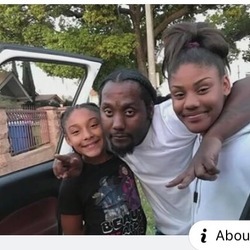 The Los Angeles Police Commission ruled on March 19, 2019 that two officers violated the department's use of deadly force policy when they fired their final shots into a man already shot and prone on a shopping mall floor, media reported. The two officers - Sgt. Ryan Lee and Officer Martin Robles -now face disciplinary procedures and possible criminal charges from the LA County district attorney's office, the Los Angeles Times and other media reported.